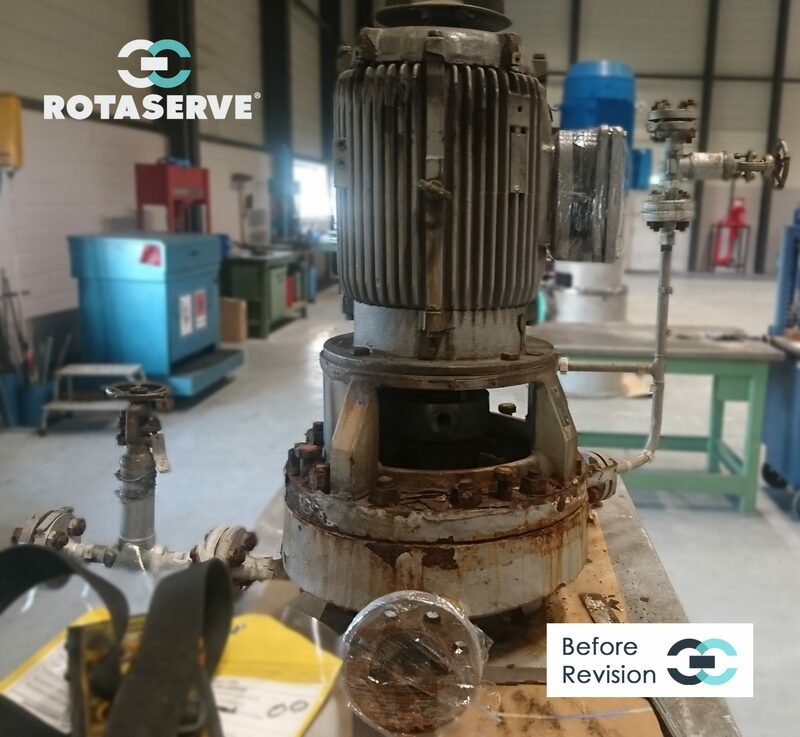 For a customer we received an enquiry to do a revision and upgrade of an ETL pump. 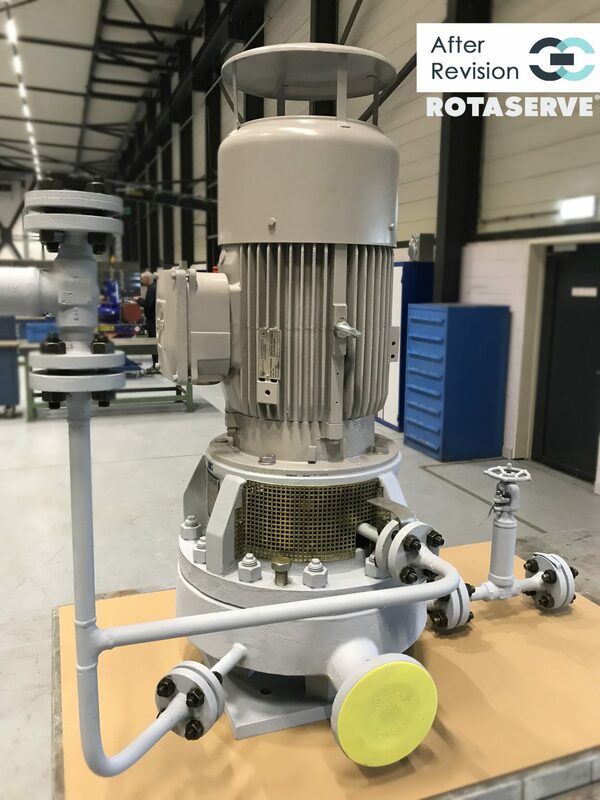 The ETL pump is a vertical close coupled, inline, heavy-duty process pump, executed with diffuser technology. 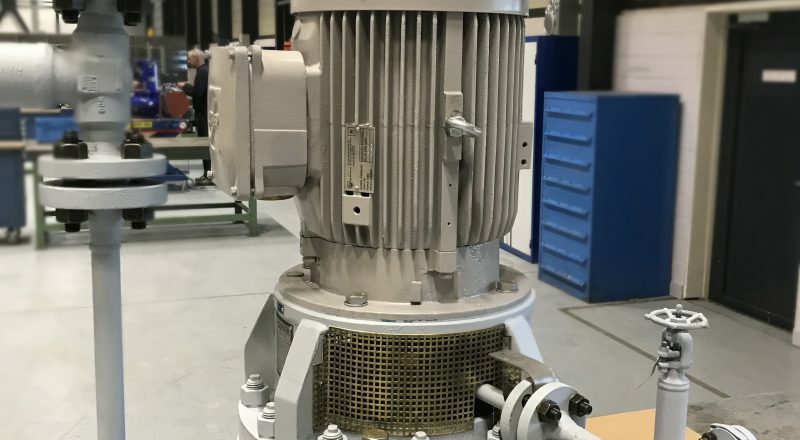 In the process market, this type of pump is classified as an API OH5 pump. 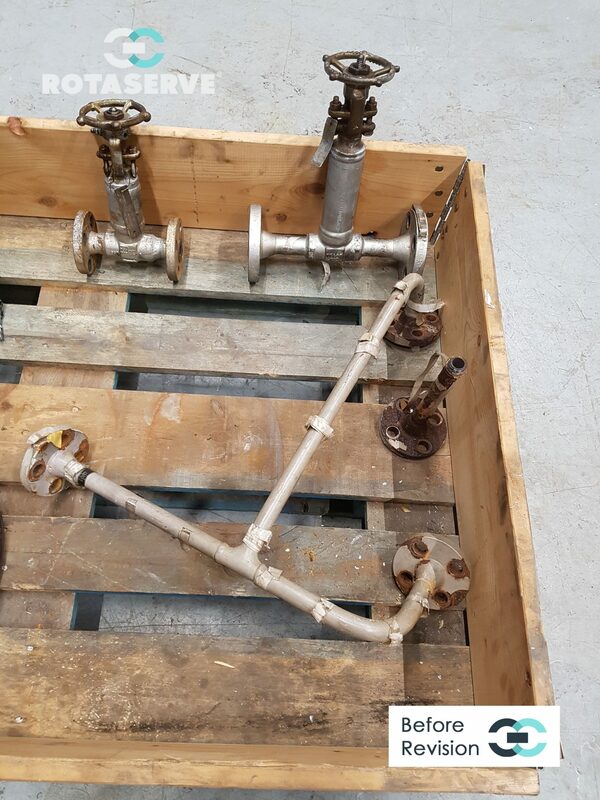 The medium to be pumped is a condensate liquid. 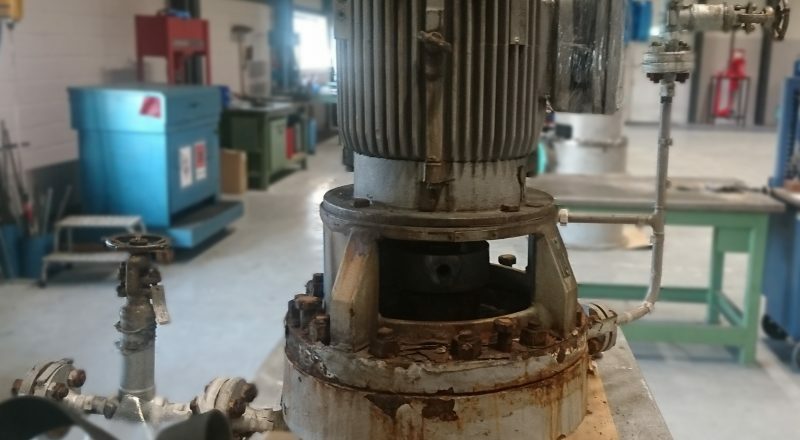 The pump was brought into our factory in very bad condition. 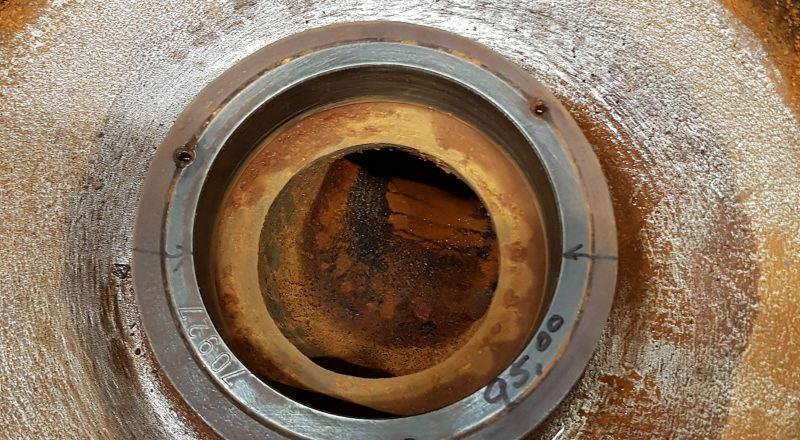 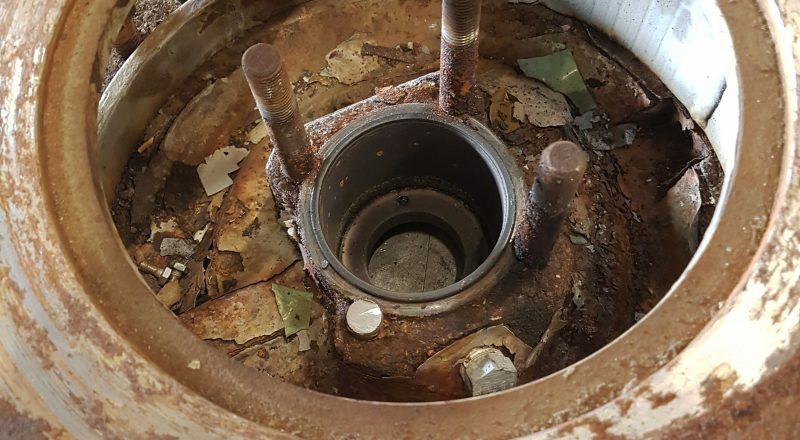 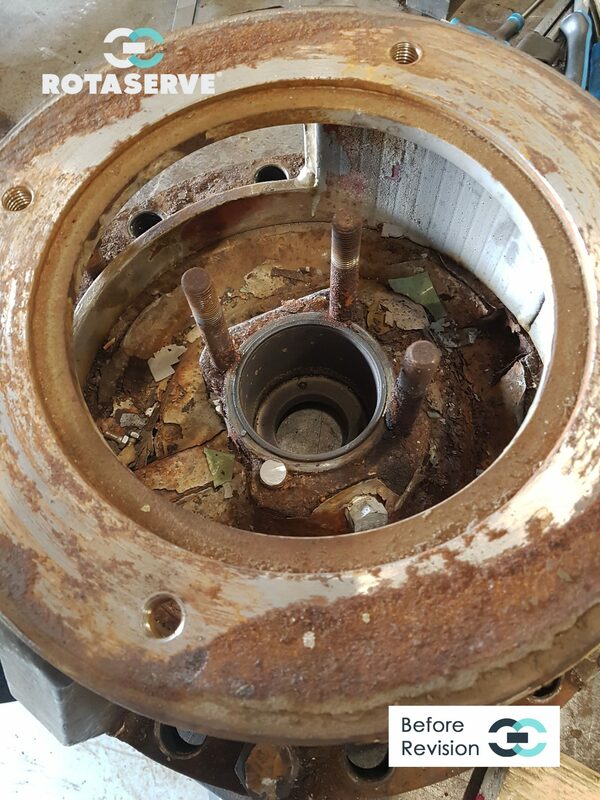 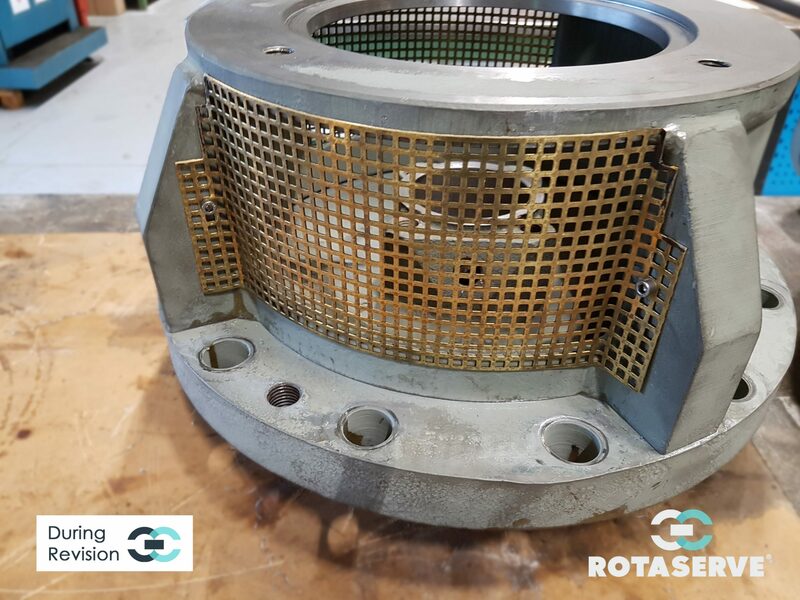 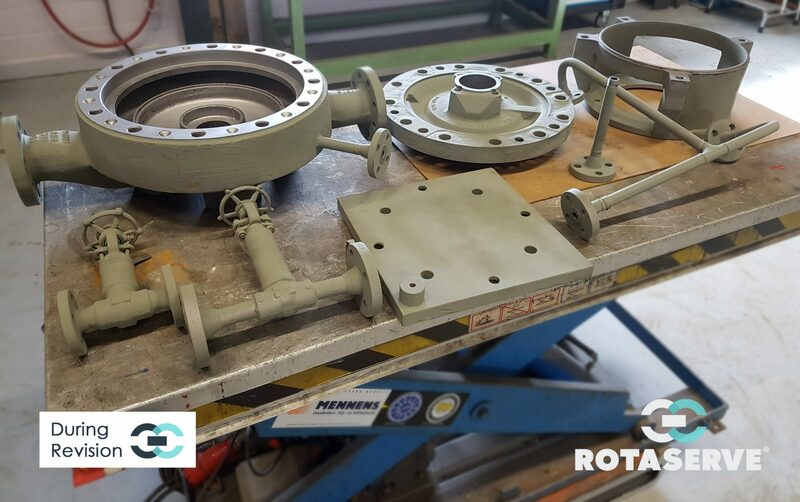 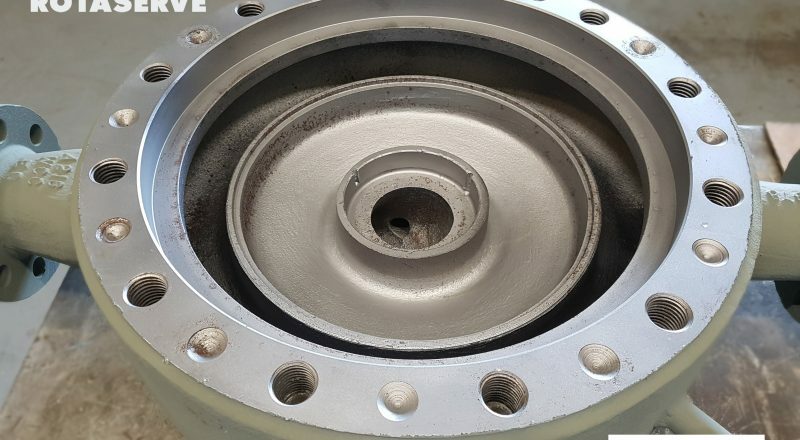 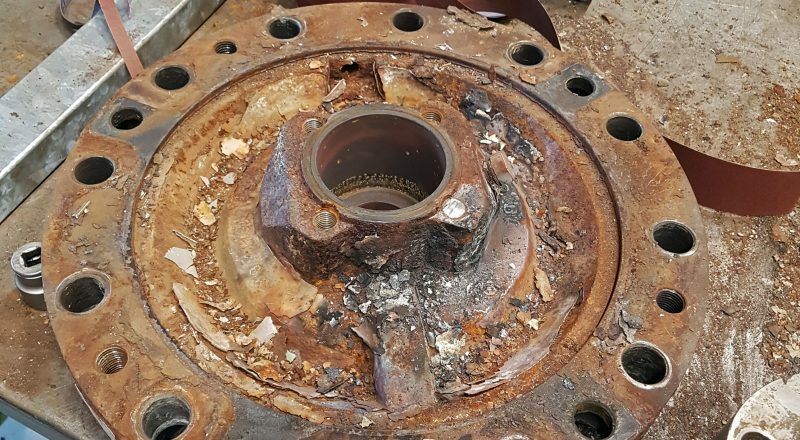 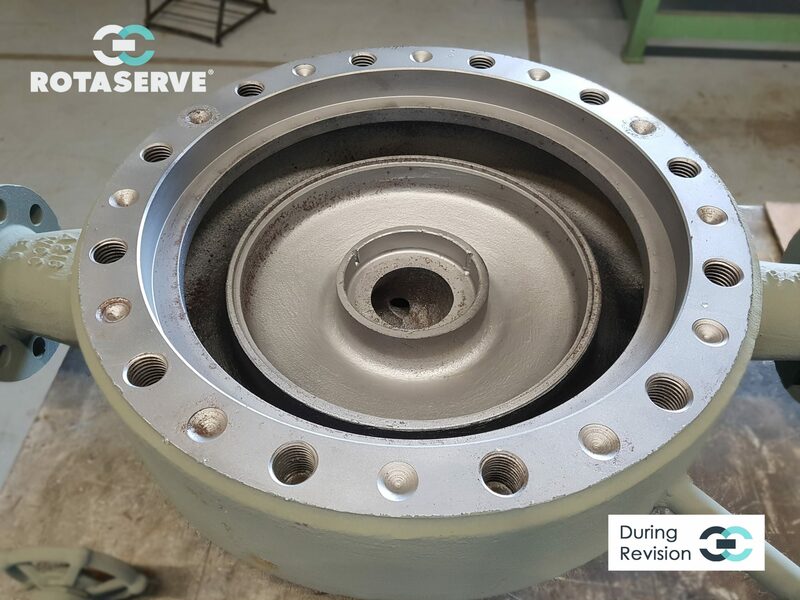 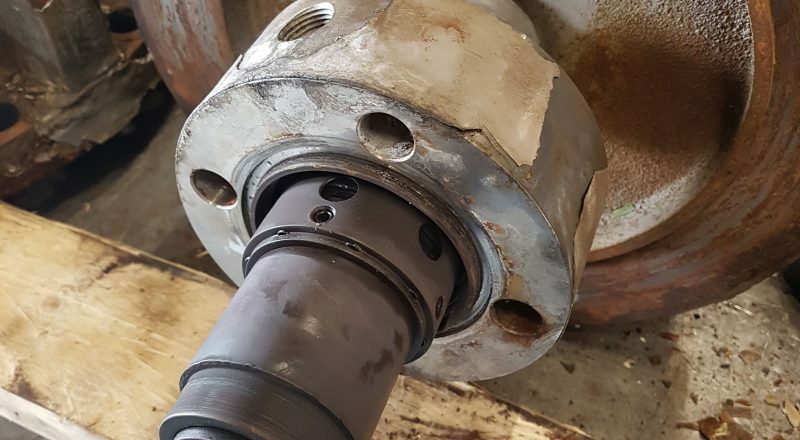 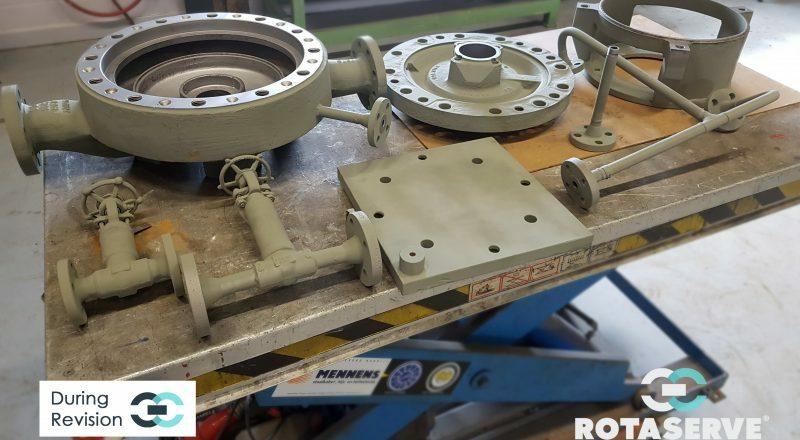 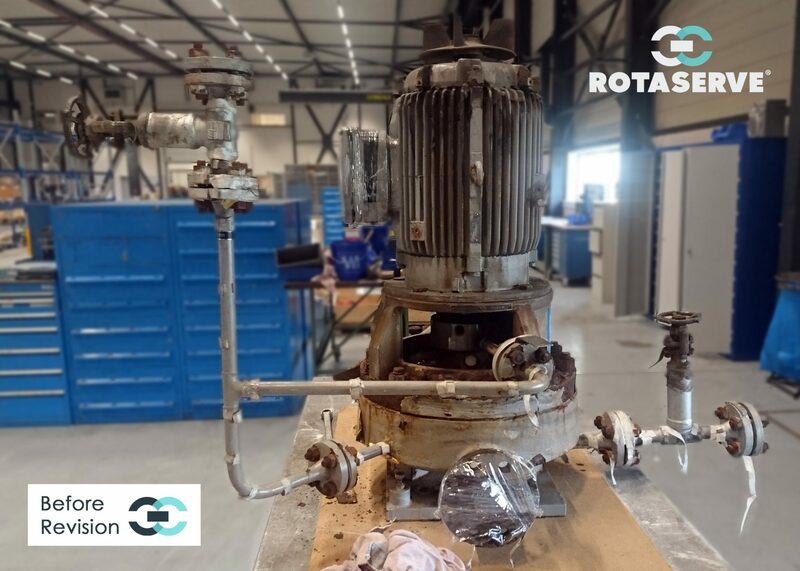 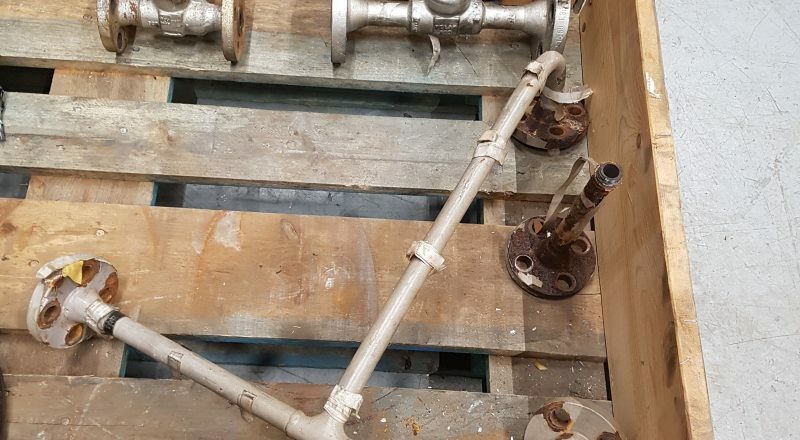 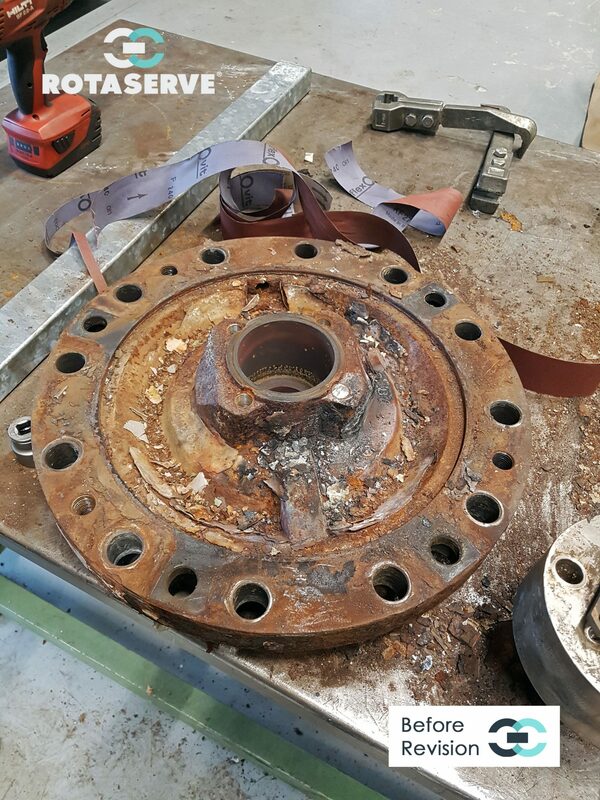 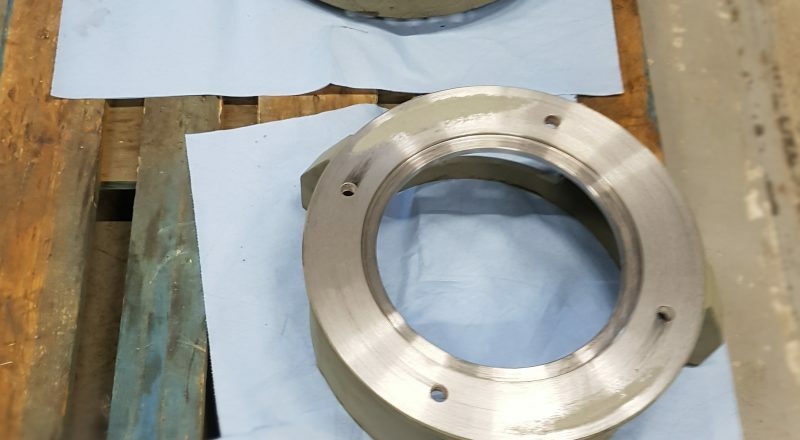 However, after disassembly, sand blasting, inspection and wall thickness measurement of the pump, it turned out that most pump parts were eligible for reuse after refubishment. 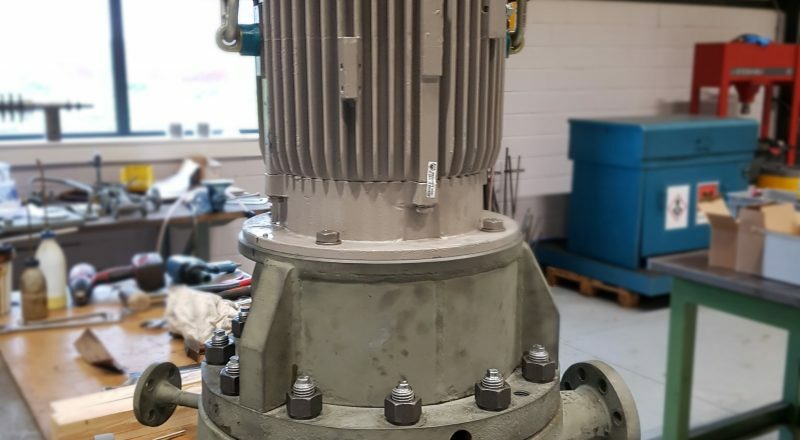 The customer liked to upgrade this pump with an increased head by 20% at same flow rate. 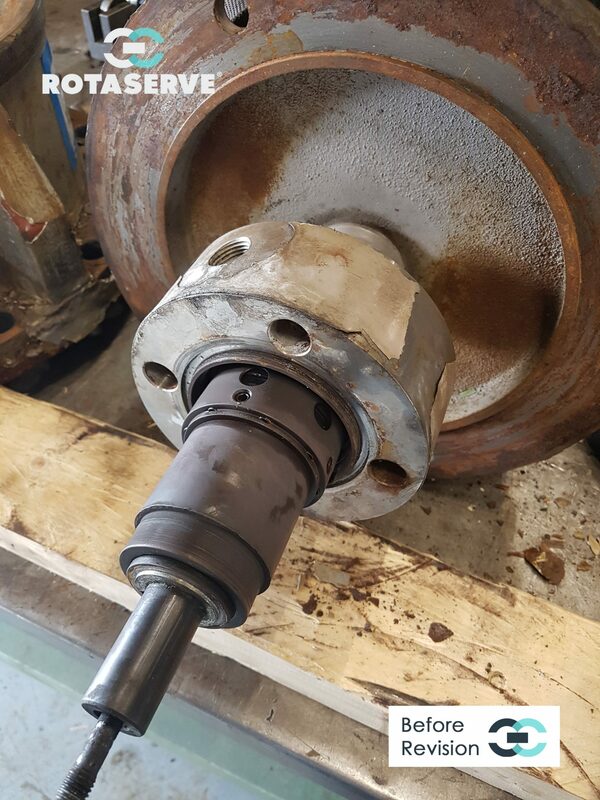 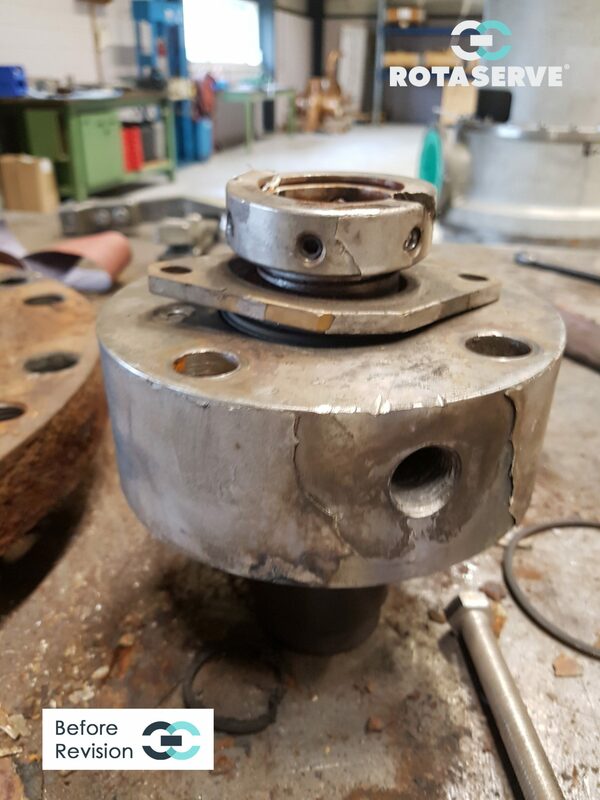 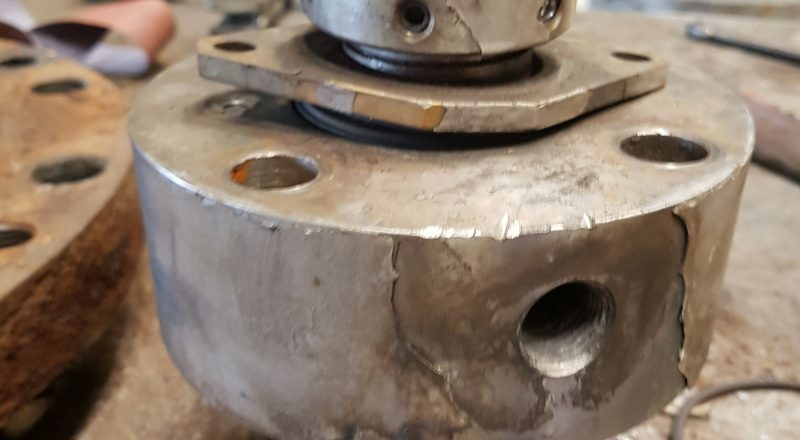 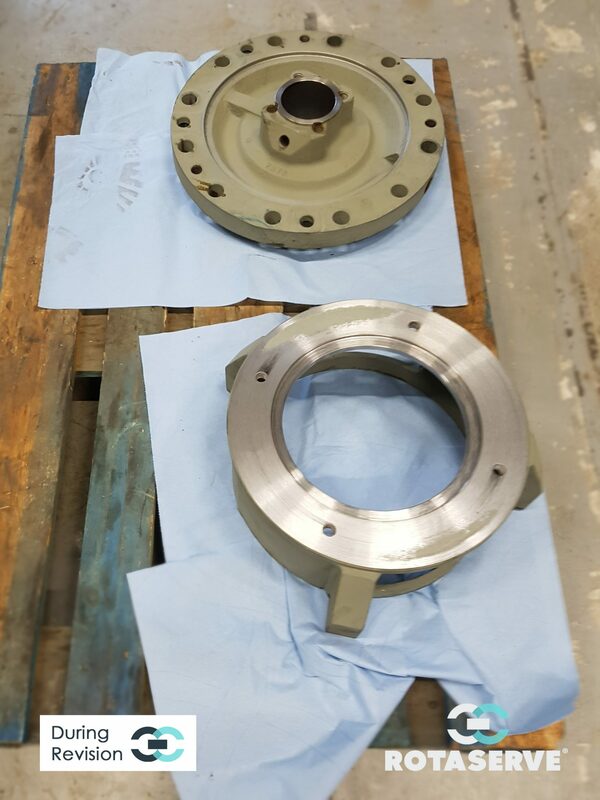 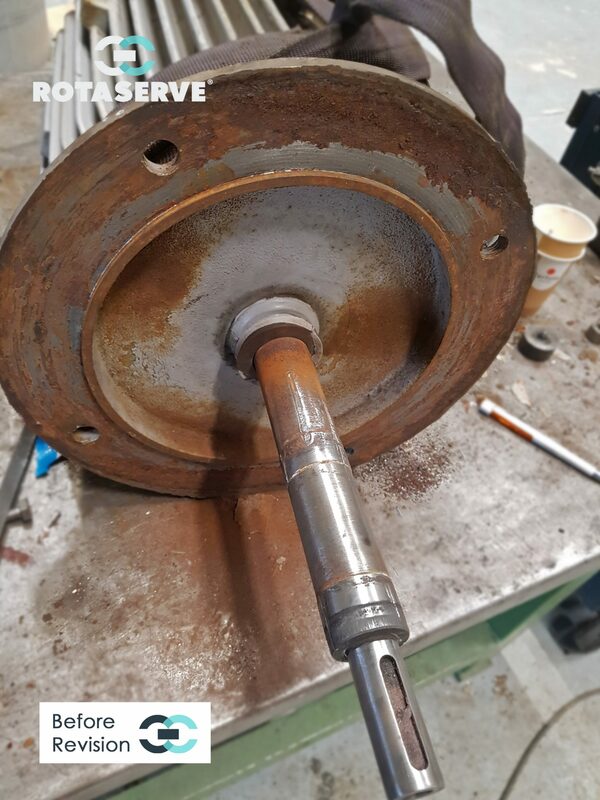 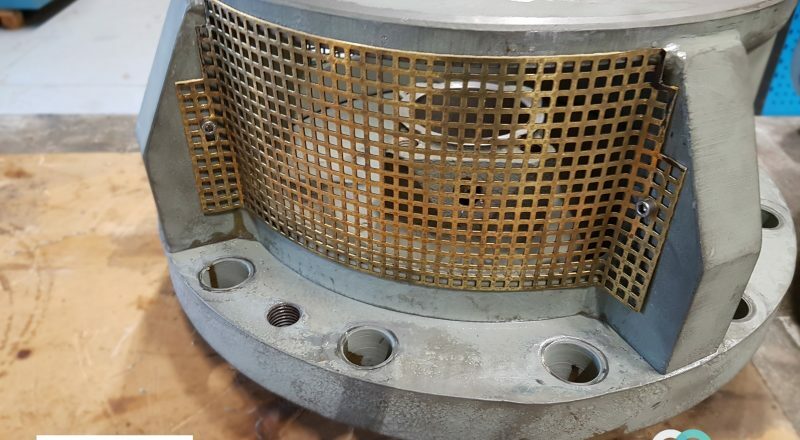 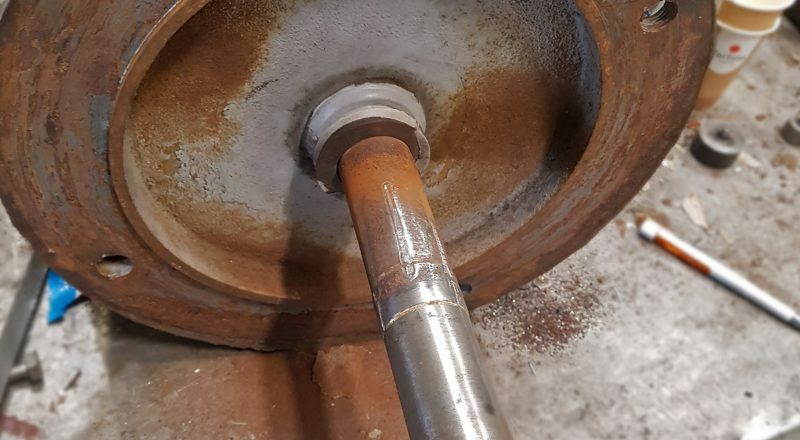 Our hydraulic department provided a new impeller and diffuser combination that retrofits inside the original pump housing of the existing ETL pump. 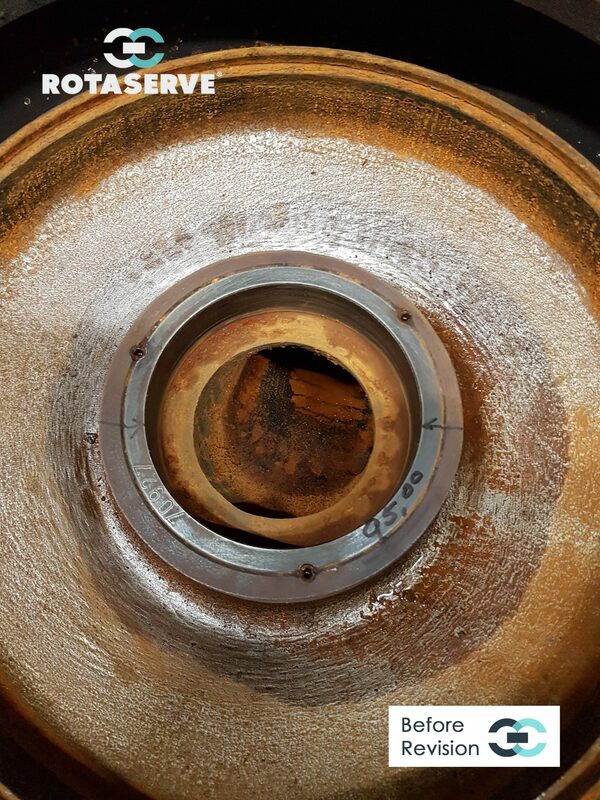 This is one of the benefits of the diffuser construction of the ETL (OH5). 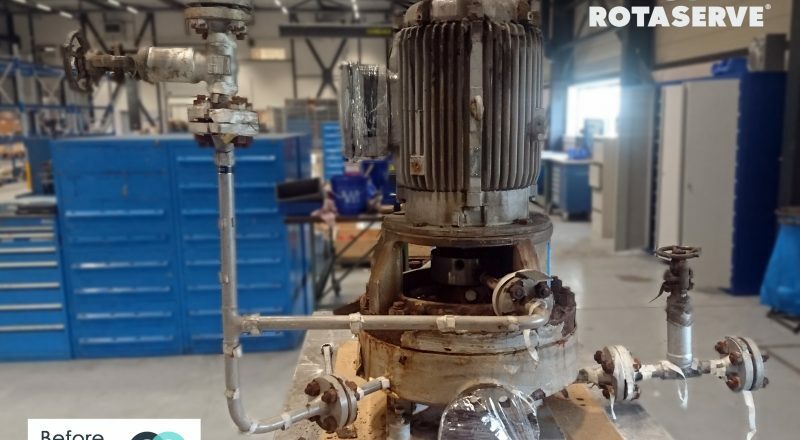 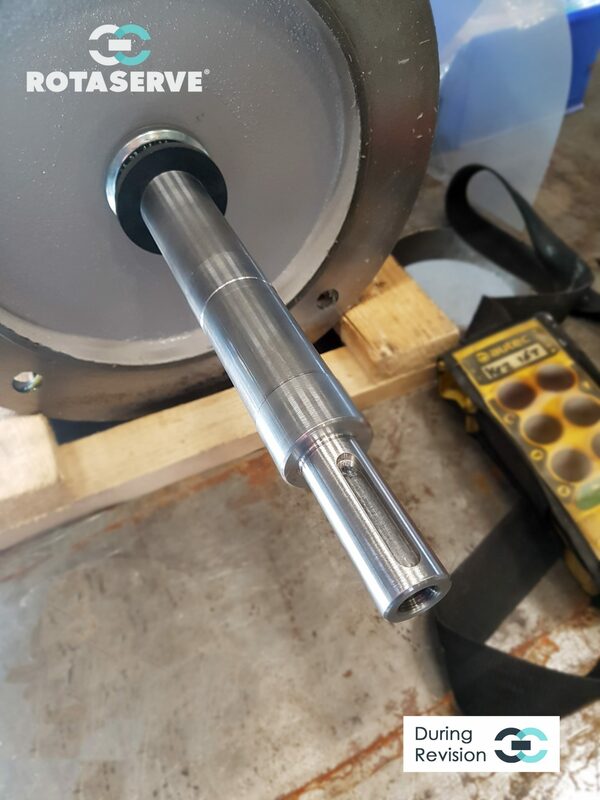 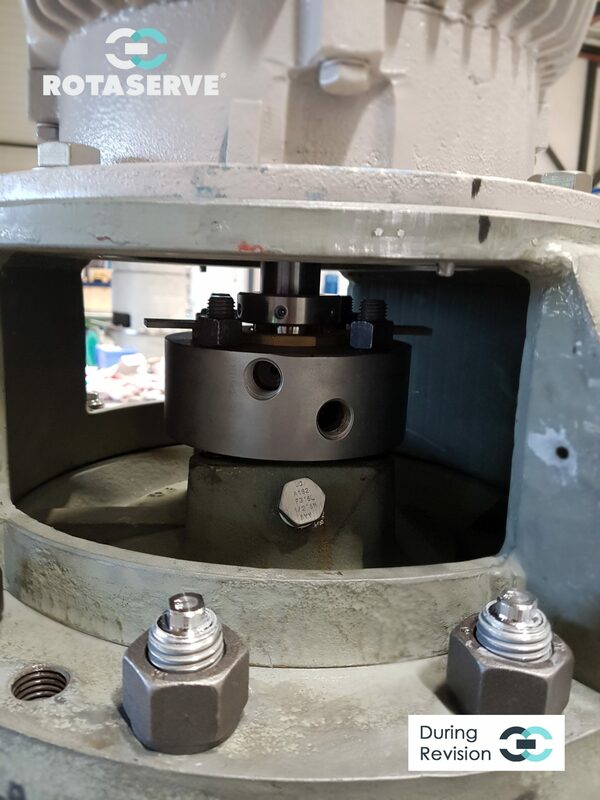 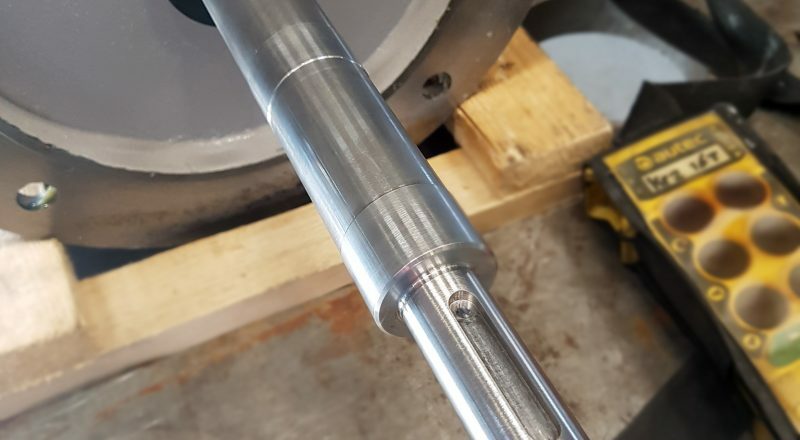 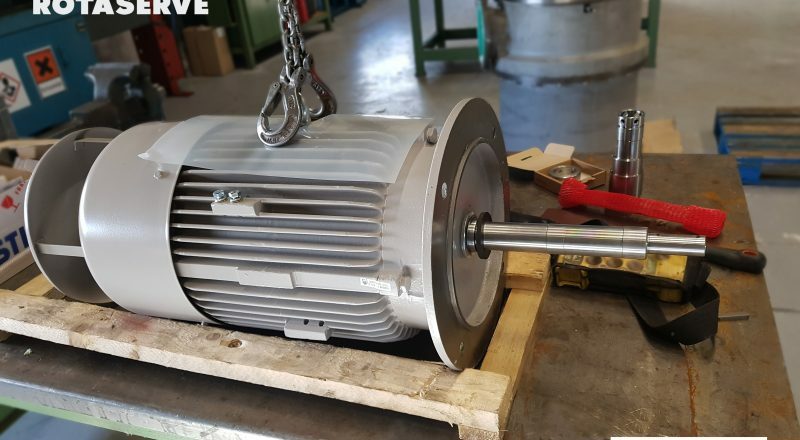 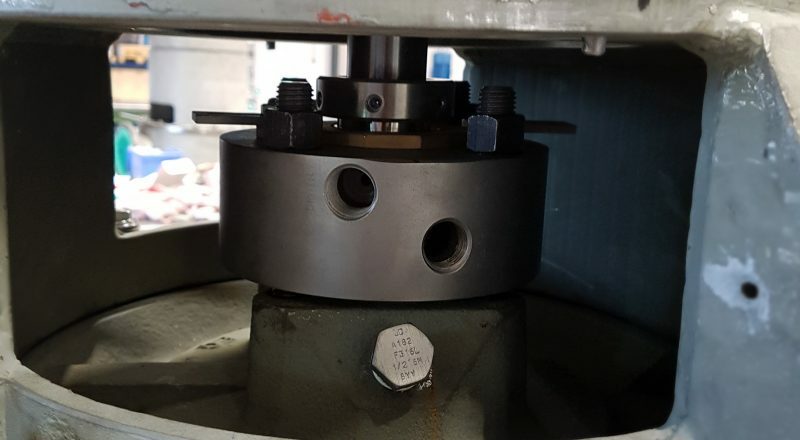 After reconditioning of the existing parts and delivery of some new replacement parts, the pump was reassembled and had undergone a performance test on our testbed. 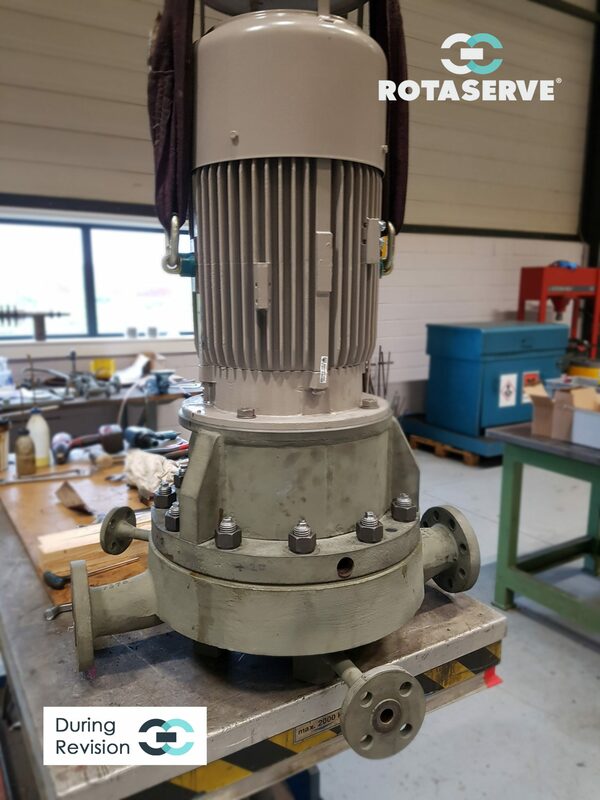 The pump met the requested performance with 20% more differential head at same flow, as required by the customer. 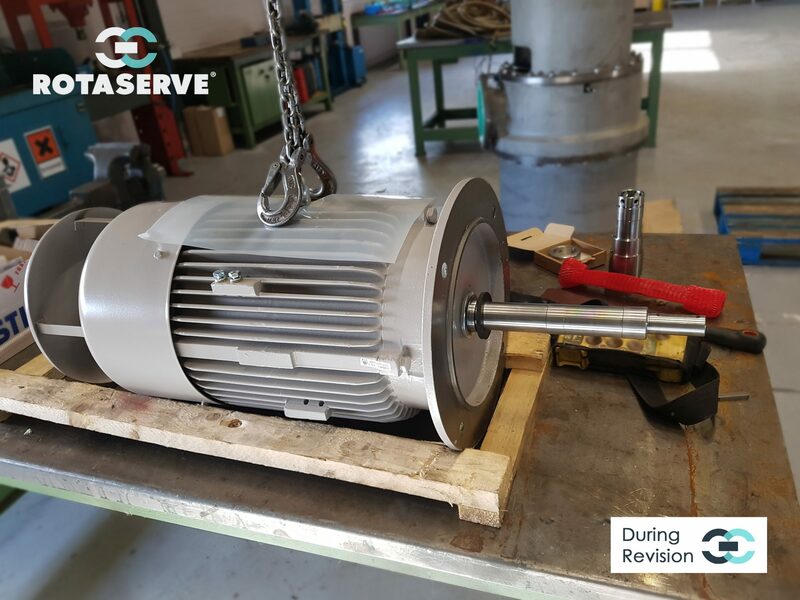 The pump was sent back to our customer with a provided warranty time of 12 months.